As a non-profit 'Community Interest Company' (CIC) we design and facilitate sustainable health and wellbeing solutions. Our focus is both preventative, as well as offering a range of one-stop-shop services to meet the needs of those suffering from mental ill health, as well as offer support for those who would like to enhance their life chances. Our aim is to reduce stigma of mental ill health and support individuals through positive psychological/behaviour change, enabling them to live happier and healthier lives. We offer a variety of services including: advocacy, practical support, training and workshops. 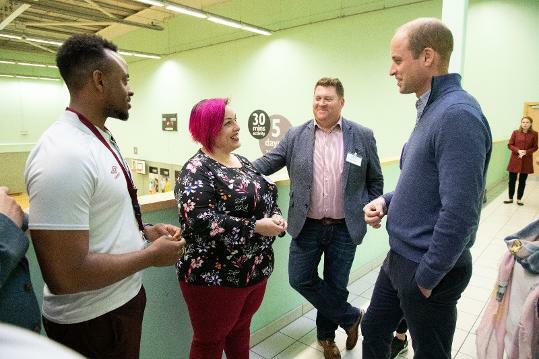 We had the honor of meeting His Royal Highness the Duke of Cambridge in Oct 2018 in conjunction with the Royal Foundation and their Coach Core programme.